Update - Springfree opens its Sydney store November 28 and 29! Update – Springfree opens its Sydney store November 28 and 29! 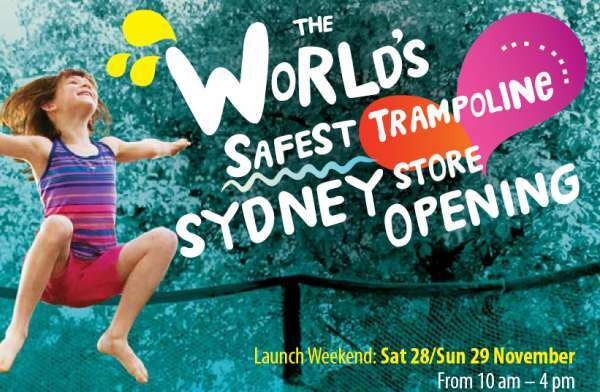 Exciting news for Sydneysiders – we’re getting our very own Springfree Trampoline store! Be there for the launch on either the 28th or 29th of November, pop an entry form into the barrel, and you could be the lucky winner of an SF72 valued at $1545. On both days there will be opening day specials, demonstrations, plus food and balloons to keep the kids happy. They can also have a jump on the different models available, although I suspect parents will be hogging the play time on these super-fun trampolines. We use ours every day ever since it arrived in May (check out our previous articles). Go the Springfree Sydney store at 723 Victoria Rd, Ryde between 10am and 4pm on each of the opening days. 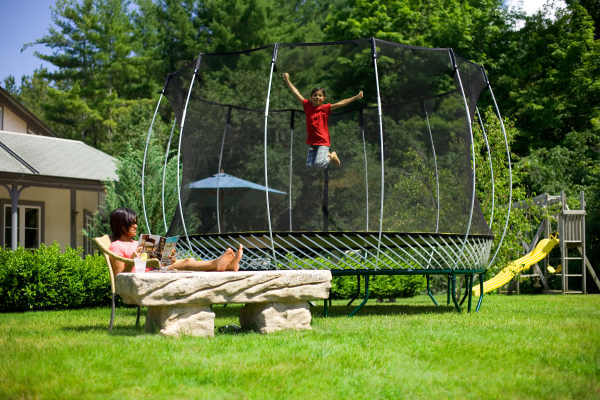 Imagine winning a trampoline just before Christmas! It’s my idea of heaven.